The American Association of Orthodontists recommends that parents schedule a first orthodontic appointment by the time their children are seven years old. You may think this is a bit young to begin seeing the orthodontist, but this early visit gives South Hills of Pittsburgh orthodontist Dr. Gary Cartwright the chance to evaluate their dental development. And if you child doesn’t need braces at this young age, follow-up visits can be very beneficial as they and their smiles grow. If your child is not ready for orthodontic braces, the orthodontist in the South Hills of Pittsburgh typically recommends follow-up appointments every three, six or 12 months depending on the teeth he is monitoring. Even before your child has lost all of his or her primary (baby) teeth, seeing Dr. Cartwright periodically can be advantageous. For example, the reason permanent teeth haven’t erupted may be due to an impacted tooth or a tooth that is erupting in the wrong position. Moreover, a child’s teeth and bite can change quickly, so the orthodontist will update x-rays once every six to 12 months if necessary. One of the main goals behind regular visits to the orthodontist for young children is the ability to stay ahead of and treat developing dental problems. This way, we can catch any dental or jaw growth concerns before they require more complicated intervention. This may not only save your child treatment time, but also has the potential to save you money. 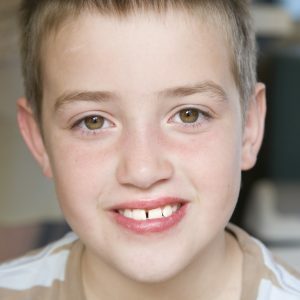 At your children’s initial evaluation when they are about seven years old, Dr. Cartwright will evaluate their jaw to determine if there are any growth discrepancies, such as a cross bite, overcrowding or teeth that protrude. He’ll then be able to tell you whether or not early treatment is recommended. Whether or not your child needs to wear braces early, the value of an initial consultation with Dr. Cartwright cannot be underestimated. If it’s time for your child to see the orthodontist for an initial evaluation, call Cartwright Orthodontics in McMurray or Bethel Park today.